Patchwork and applique flower blocks are interspersed through this large lap quilt, divided up with ‘garden paths’ as depicted by the diamond sashing. 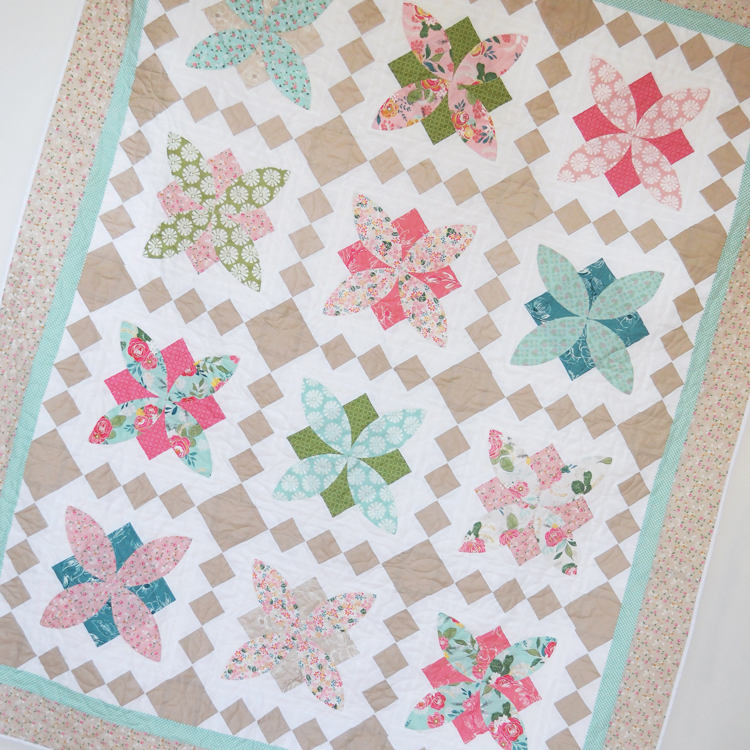 Cover quilt features the new ‘Grandale’ collection by Keera Job for Riley Blake Designs. For Riley Blake stockists this is a perfect pattern to combine with the Grandale fabrics for quilt kits.